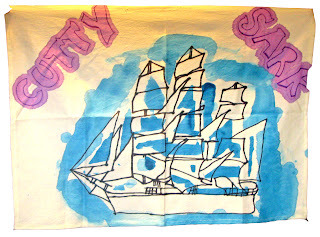 Andrew Gwilt is a trainee of Level Best Art Café in ArtCo, the art department. 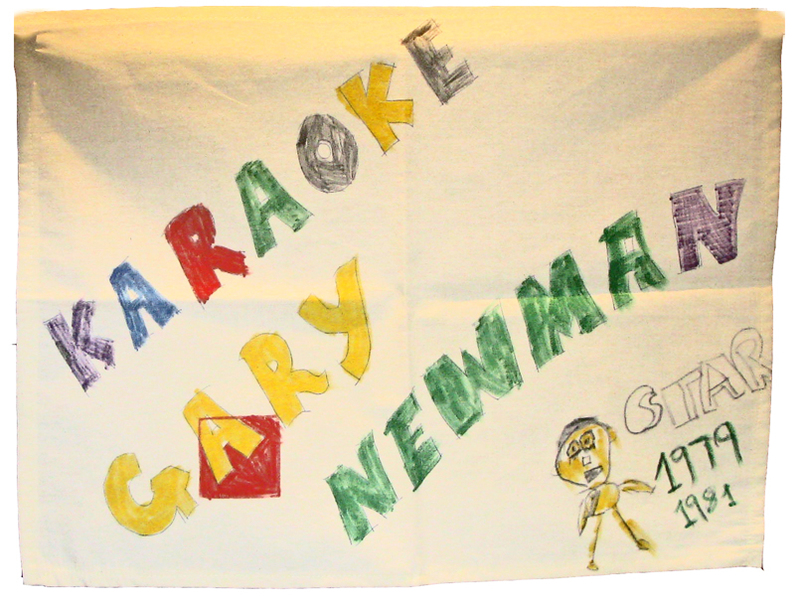 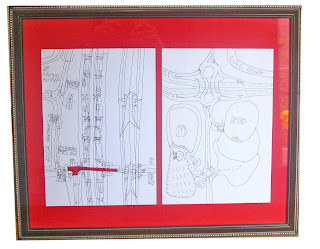 This show is a collection of some of his drawings. 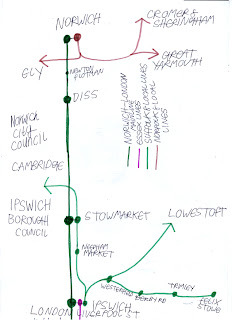 Andrew grew up in Norwich and now lives in Wickford in Essex. 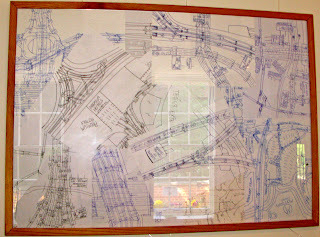 He attends the café every Thursday and since he first started with us he has been a master of his own unique style of map making. We were so impressed with his single minded vision, sense of purpose and prolific amount of work that we felt he deserved a solo one man show in our gallery. 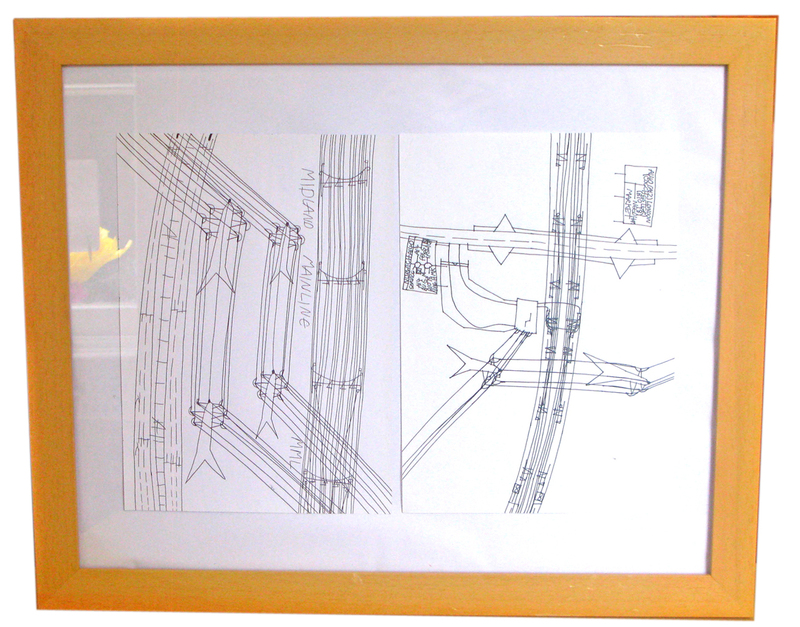 Each frame has at least 2 A4 drawings within. 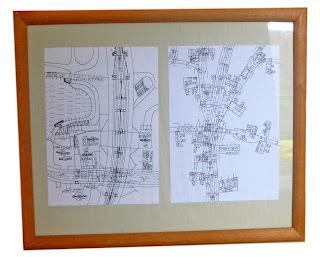 Andrew said “Since I was 5 my dad used to go through the family atlas with me and after college I began to draw technical plan drawings and maps, using the atlas and Google Earth as reference. 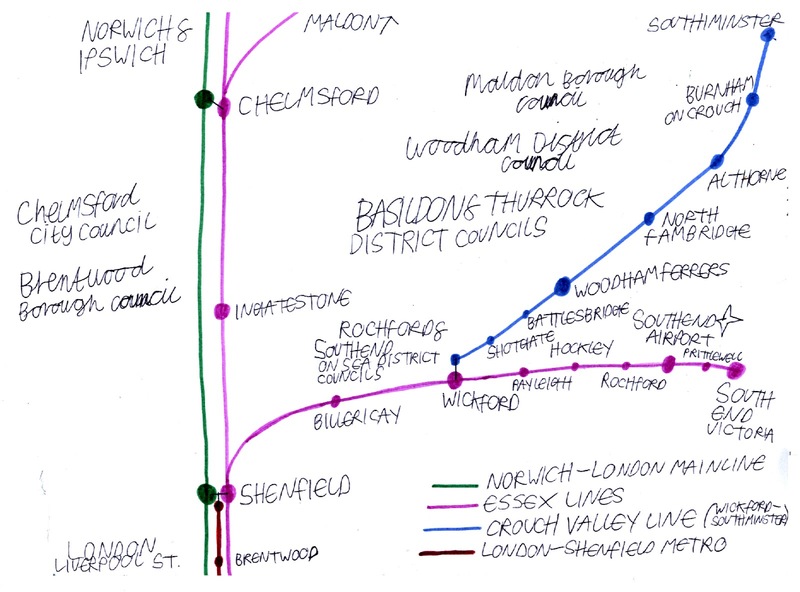 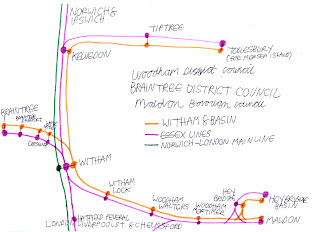 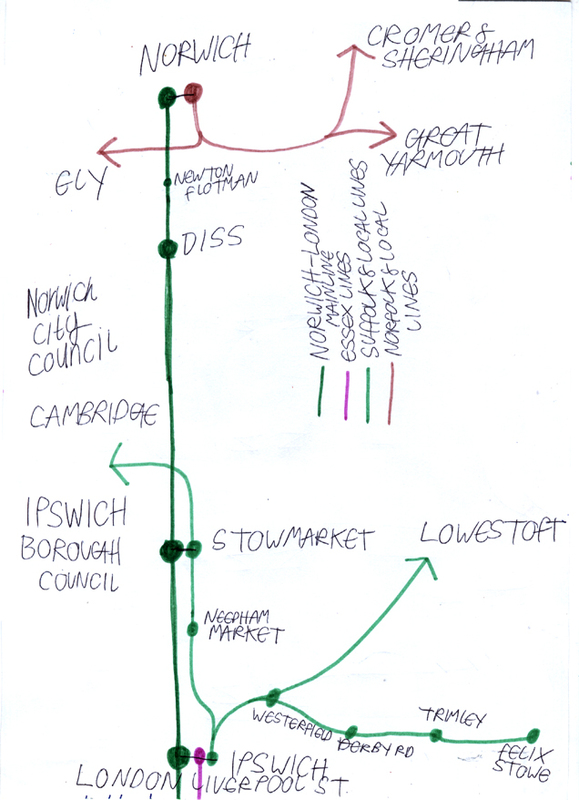 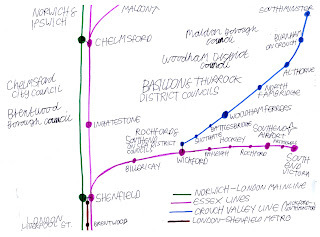 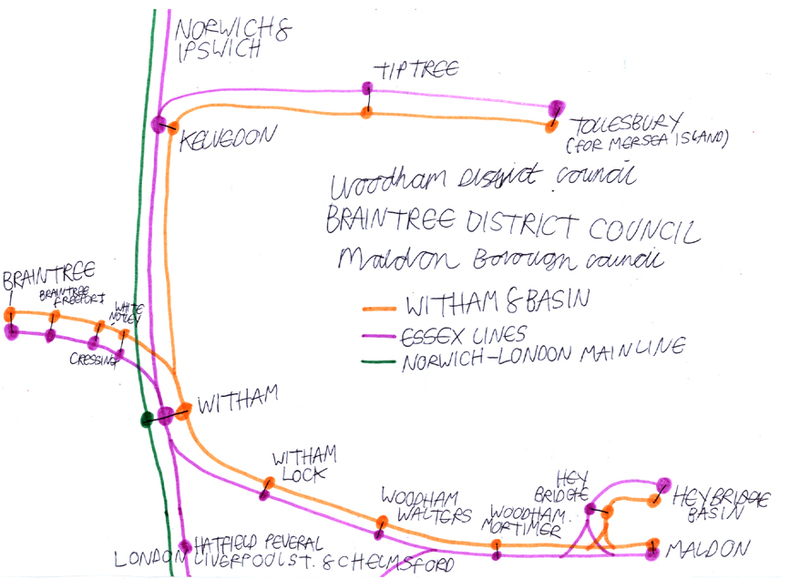 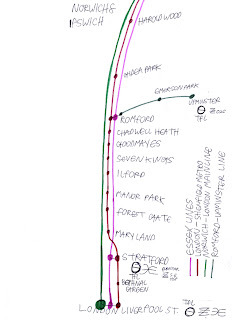 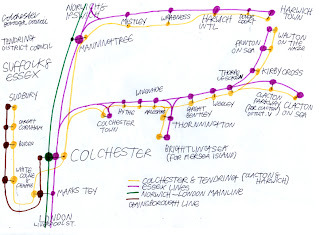 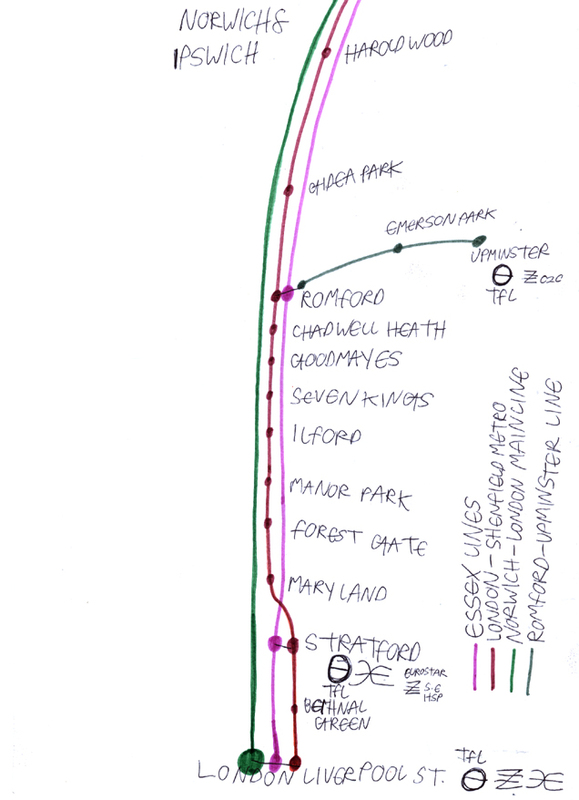 I now can draw my maps accurately from memory and do so every week, as well as producing digital work with Google maps and Microsoft paint, to indicate routes people can travel”. 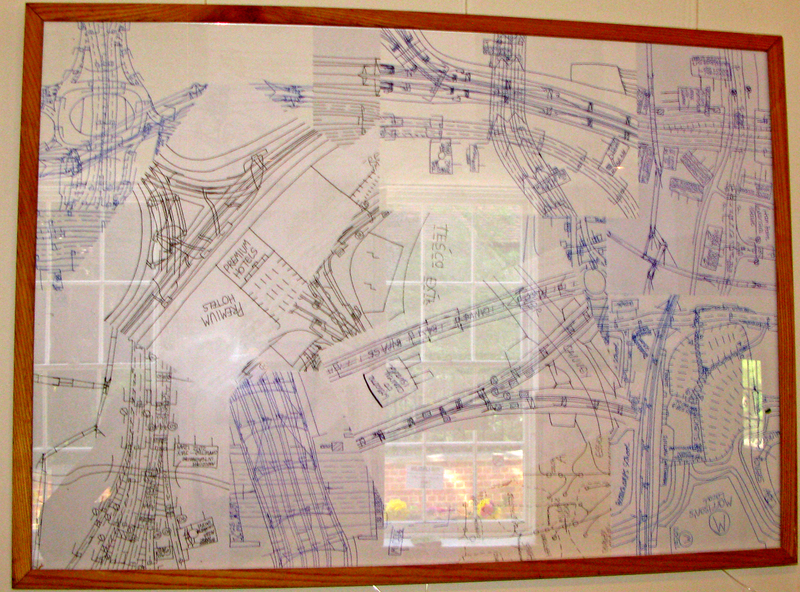 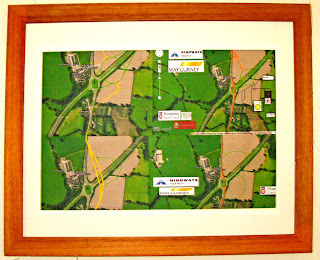 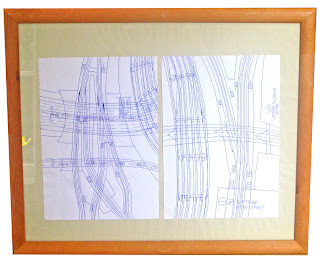 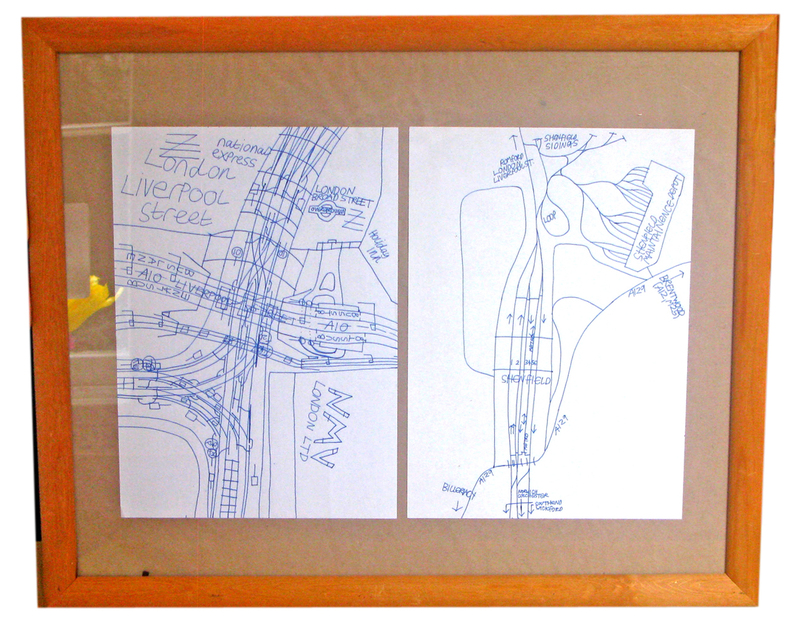 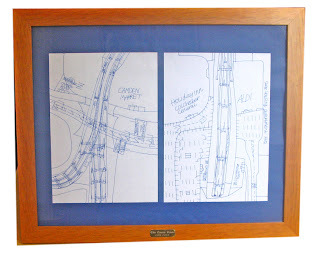 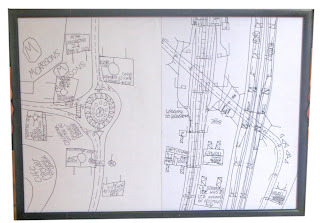 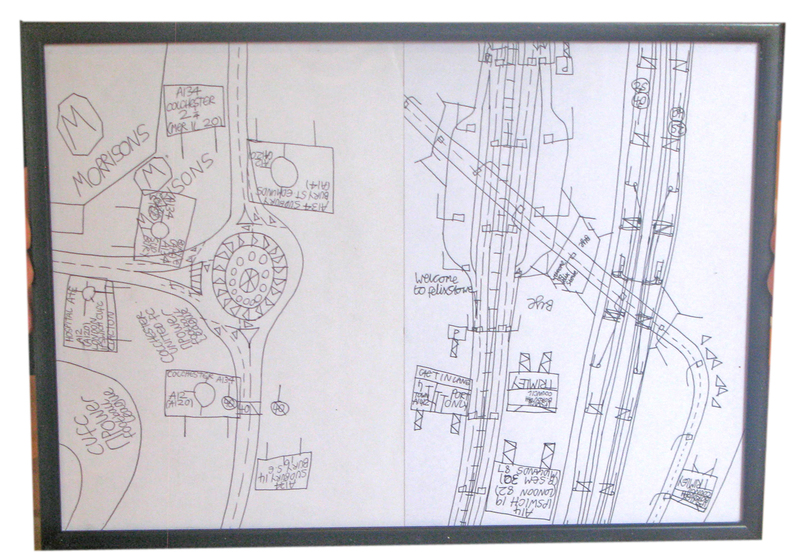 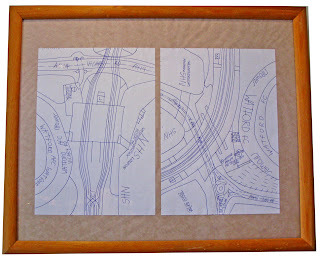 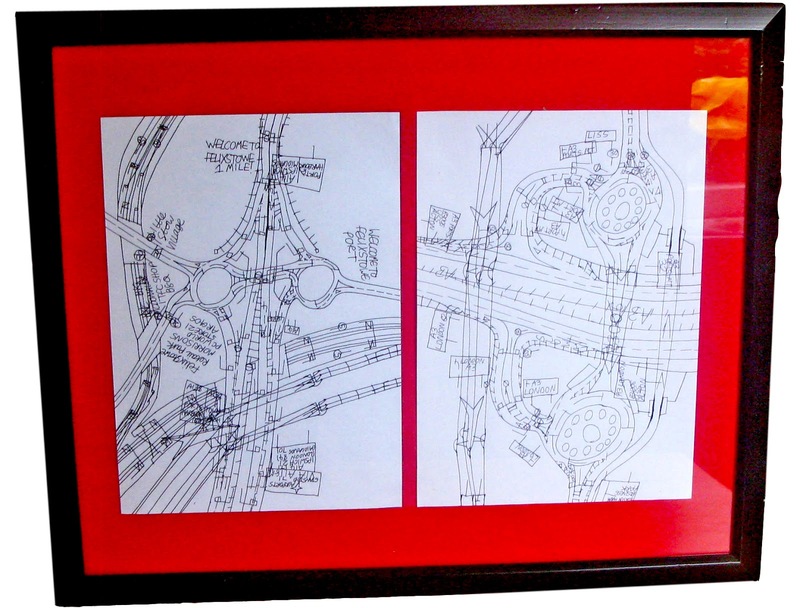 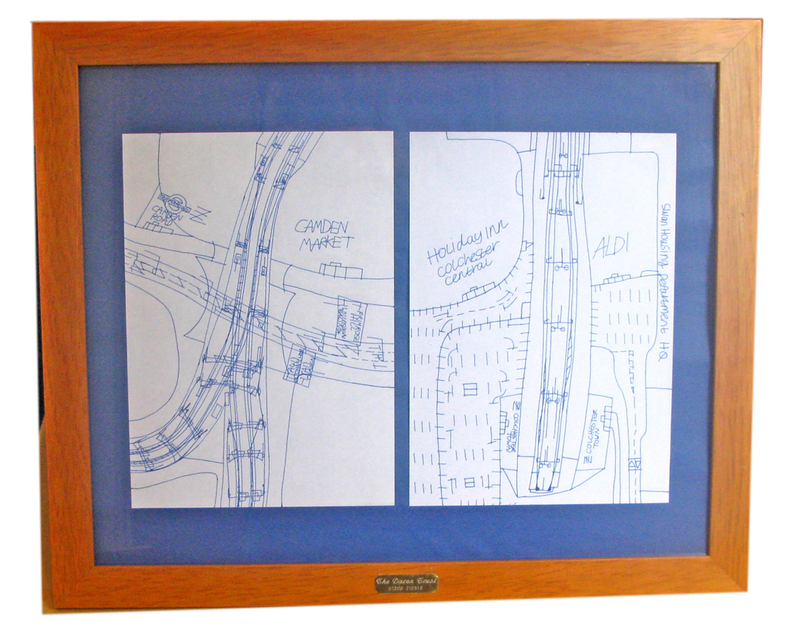 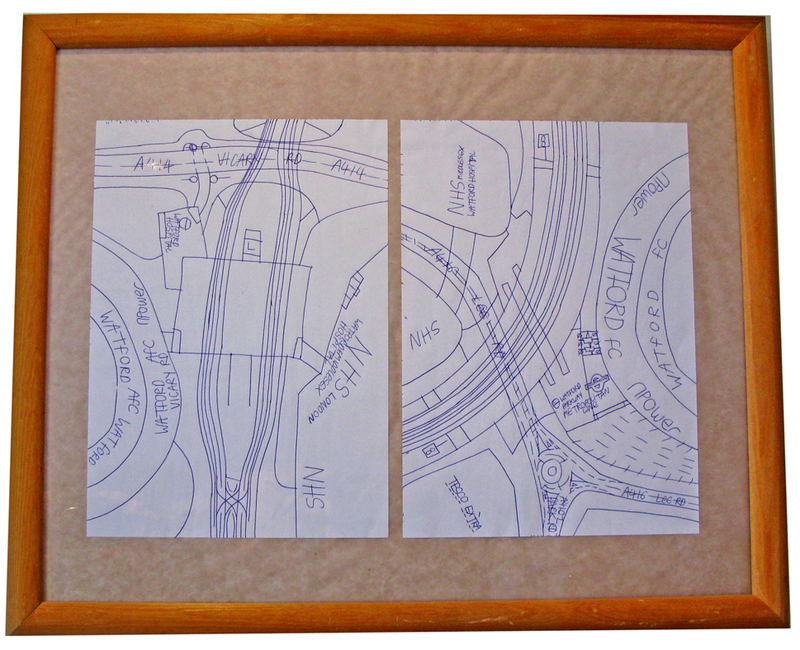 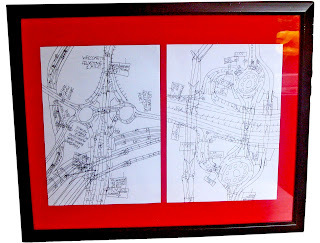 Andrew’s maps are chiefly concerned with routes, either motorways, railways or simple pathways including such details as roundabouts, road signs and pylons. 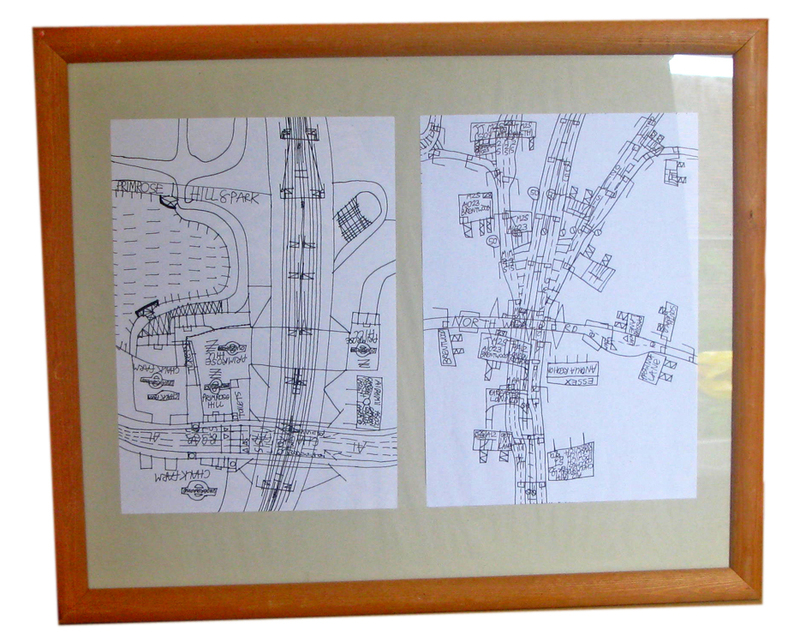 His accuracy and wealth of knowledge is staggering and he is interested in construction projects around the world present and future. 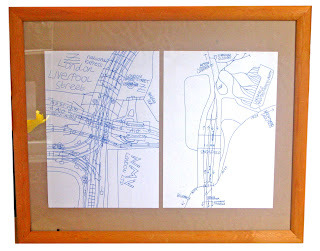 Some projects Andrew has told us about recently include maintenance to the Tokyo highway system, the new 9 car electric locomotive to be introduced to London and the far off planned project for a bridge to the Isle of Wight and a transatlantic rail and road tunnel to connect western Ireland to Southern New York, with 5 service stations along the route under the Atlantic ocean. 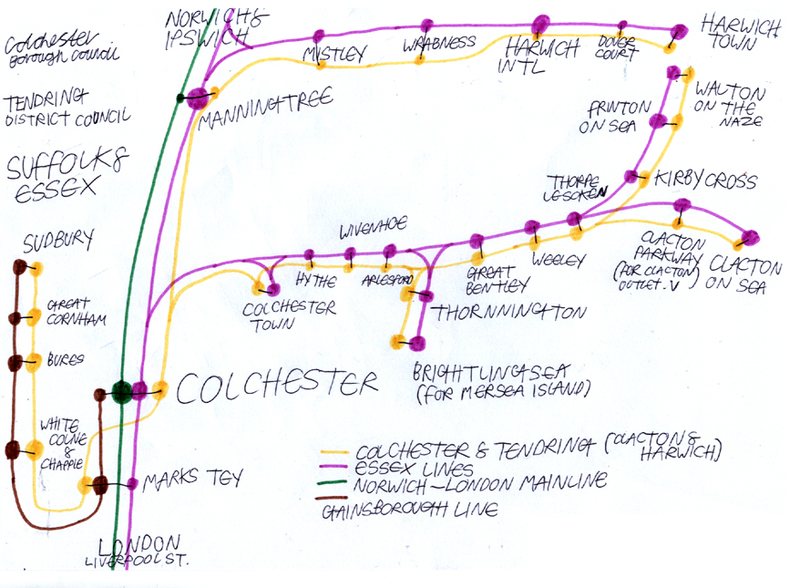 Andrew says “I like to get my maps accurate; if I make a mistake such as wobbly lines or inaccuracies I will start again”. 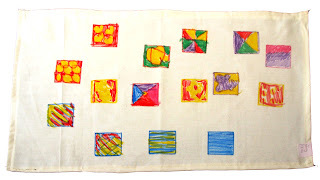 When asked how he felt about having his work publicly displayed for the first time in our Gallery he said “It is a good opportunity to see how good I am, I’d like to become a popular artist and photographer”. 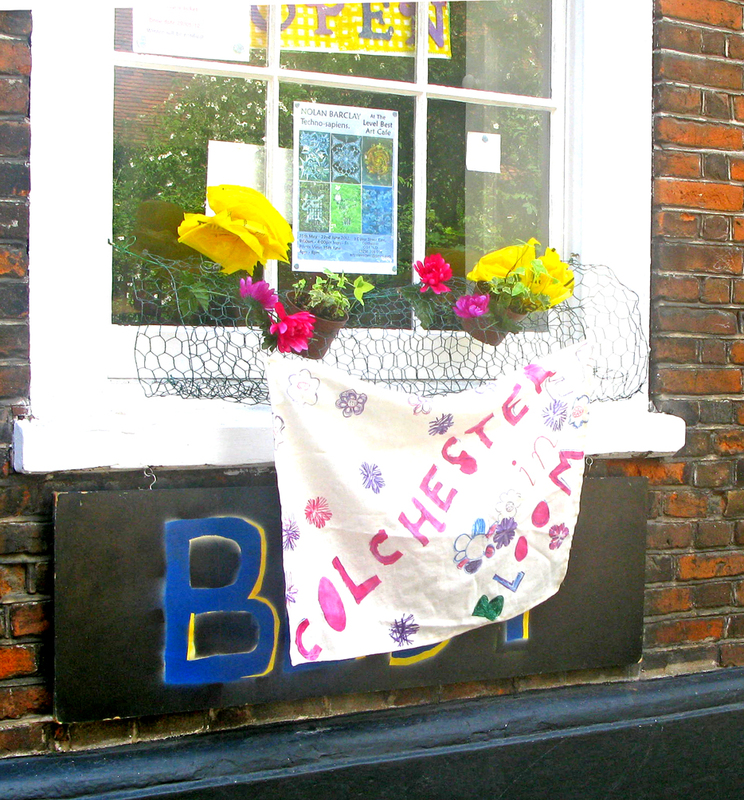 We began our project to help out with Colchester In Bloom. As the weather this year has not been great for growing enough flowers, we made our own artificial ones out of yellow plastic bags and tea towels with flower patterns on, to help with our window box displays. 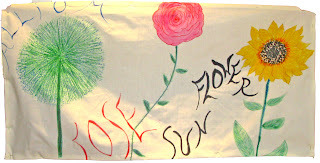 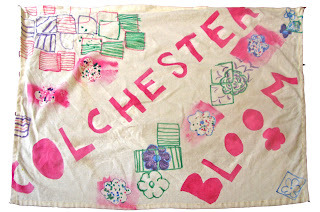 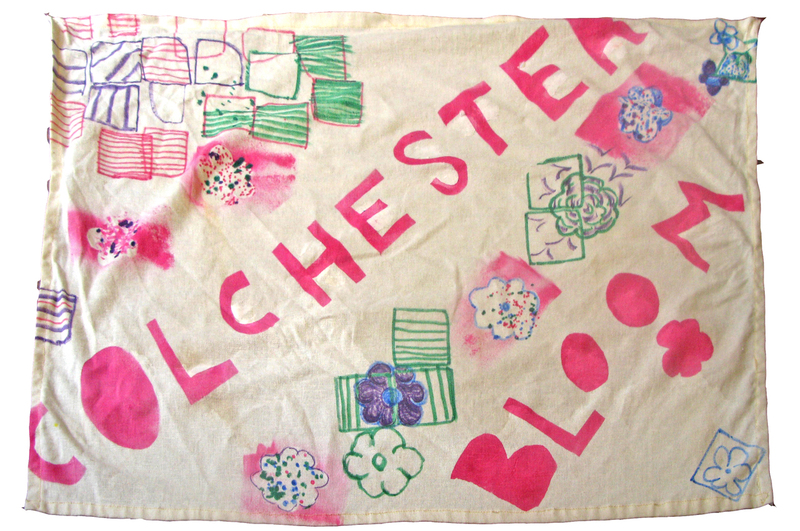 When we had made enough Colchester In Bloom tea towels, we decided to expand on the project as we had a taste for the process. 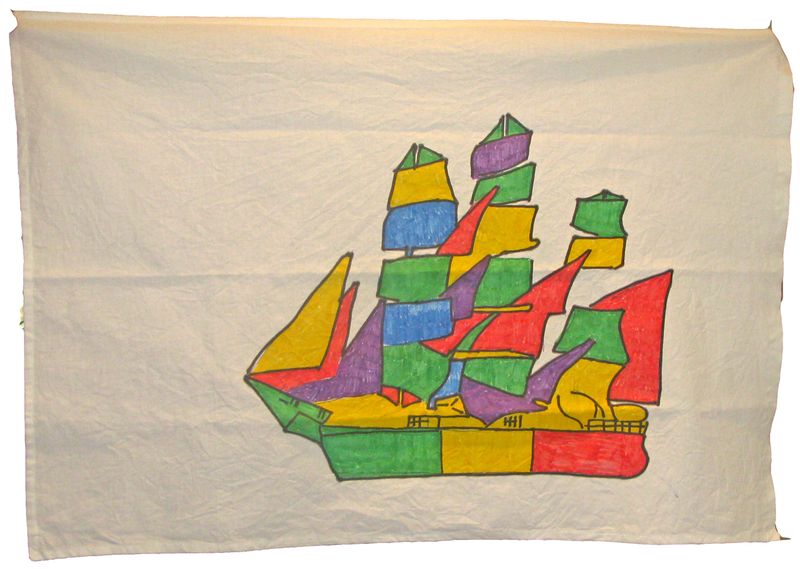 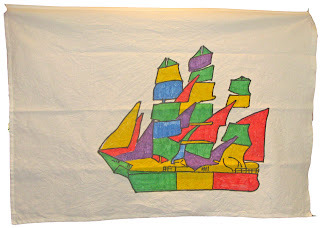 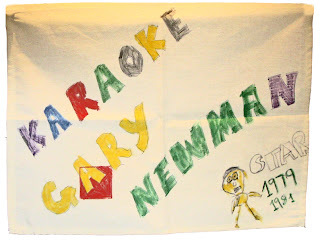 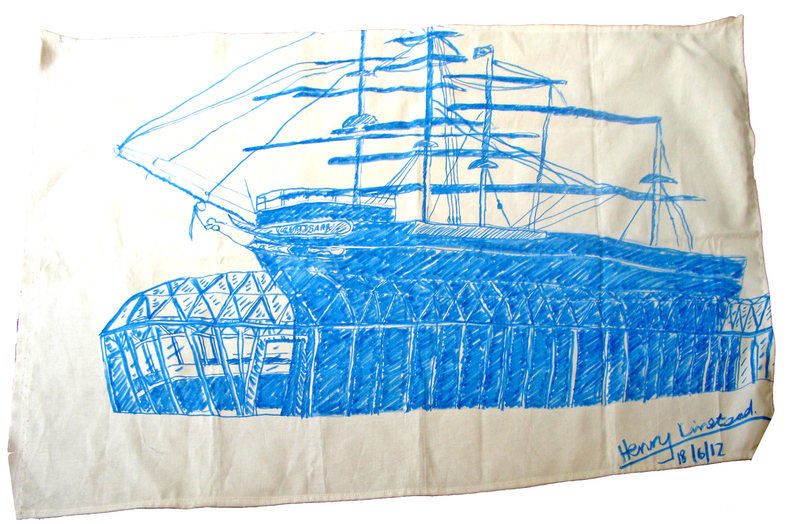 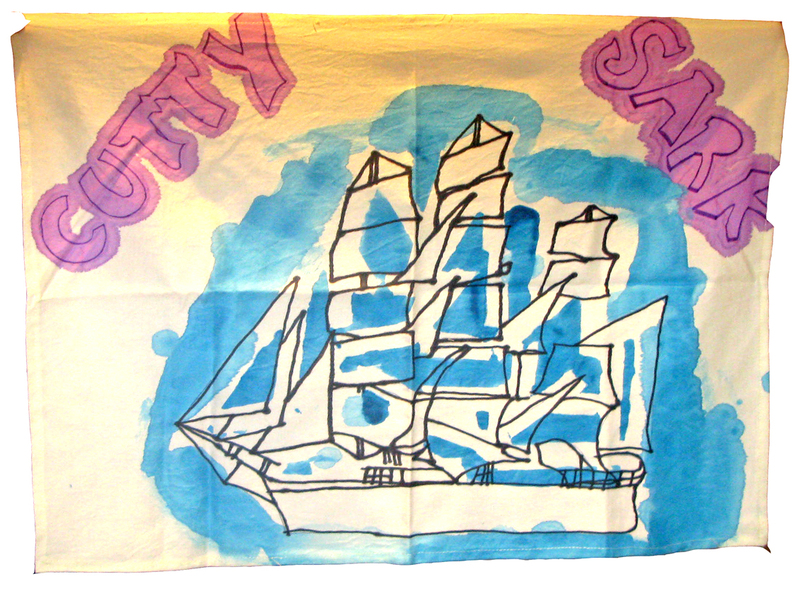 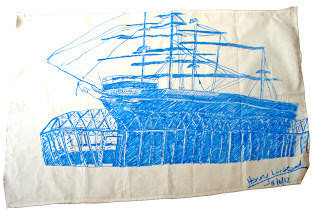 Other themes for Tea Towels have included The Cutty Sark (as Jane wanted to sell at a stall in Greenwich market), elephants, fish squares, mermaids, The Wanted (the band), various abstracts and a specialty tea towel for Franklins who donated us a sewing machine (commissions welcome). 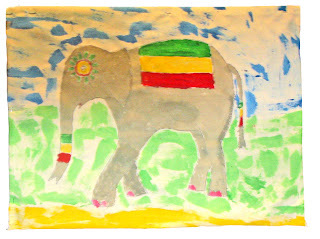 Coming soon will be themes on wildlife and space. 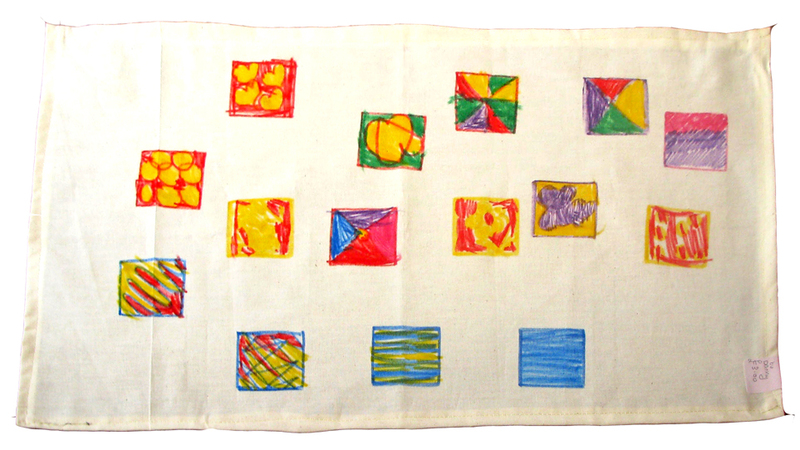 Each T towel is produced either by a trainee with a vision or a group of trainees working on different elements of a pattern and we are accepting offers of between £3 and £20 for each.